From routine rubbish and garbage removal, to beverage container redemption and paper shredding, Business Services Hawaii is the Big Island of Hawaii's best choice for a cleaner and greener island! 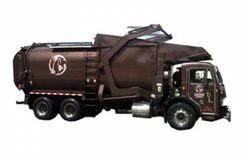 With roll off services for dumpsters and compactors, as well front loader service for commercial solid waste collection, our experienced drivers will give you the help you need to keep the area around your home and business clean and clear. At Business Services Hawaii on the Big Island of Hawaii, we take what we do very seriously, and do it with pride. Our professional garbage collection and recycling services are aimed at providing not only a great convenience to our customers, but one that will impact their quality of life in a positive way without impacting their wallets in a negative one! Stop taking the time out of your busy schedule to haul your own trash. At Business Services Hawaii, we're the Big Island's trusted waste disposal experts. In addition to garbage removal, we offer a variety of other services, so contact us today and let us discuss your needs! You can reach us at (808) 966-7489. 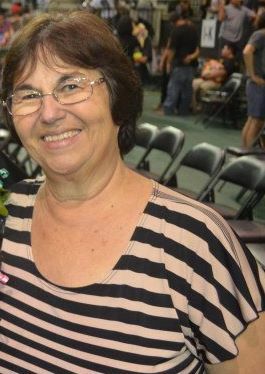 Margaret Pahio has been known for having a tremendous passion for caring for her community. Having been diagnosed with cancer, Margaret never let that hold her back from doing what she loved. In the last months of her battle she experienced first-hand the challenges of having limited mobility. She was unable to drive or ride in a regular vehicle which made it difficult for her to get around. Margaret had to rely on professional mobility transporters to get to her medical appointments which made her aware of the few transportation options available to the community. 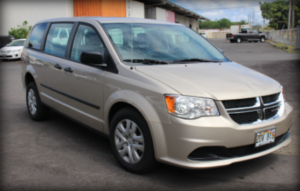 In her desire to help others, Margaret and Business Services Hawaii donated a 2016 Dodge Caravan to Hui Mālama Ola Nā 'Ōiwi. The Hui Mālama Ola Nā 'Ōiwi organization has focused on providing health care for diabetes, cancer and heart disease through prevention, services and support on the Hawai’i island. This vehicle targets just that, it is fully equipped to carry a passenger in a wheelchair or gurney and will be able to transport people to their medical appointments safe and comfortably.